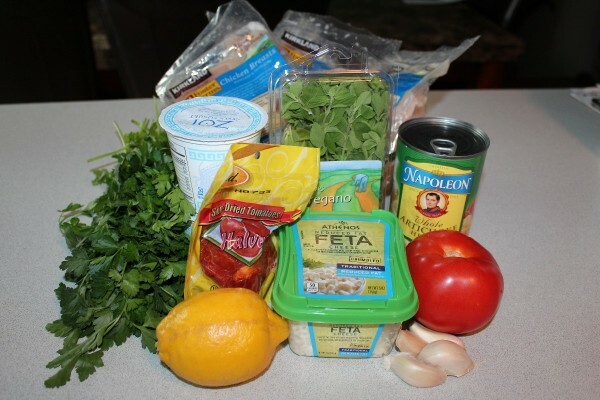 This guide contains a recipe for greek chicken breasts. These yummy chicken breasts are coated in a delicious yogurt marinade and topped with feta, sun dried tomatoes, and artichoke hearts. 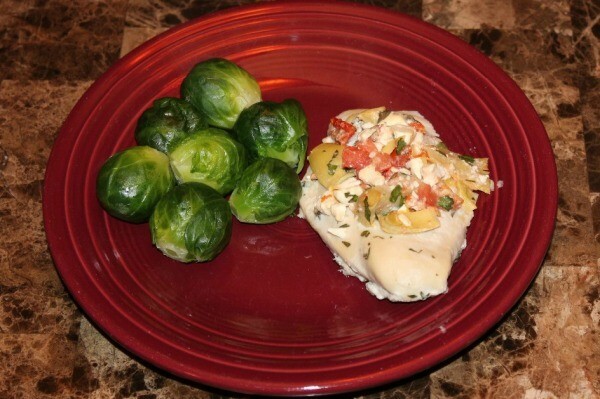 This is a really tasty and wholesome chicken recipe. I love sundried tomatoes, feta, and artichoke hearts, so it hit the spot. I really liked the use of fresh ingredients. We used the broiler since it's winter, but I think it'd be even better on the grill. The leftover chicken would make a great sandwich in pita bread. The original recipe came from beachbody; but as usual, I've tweaked it a bit. 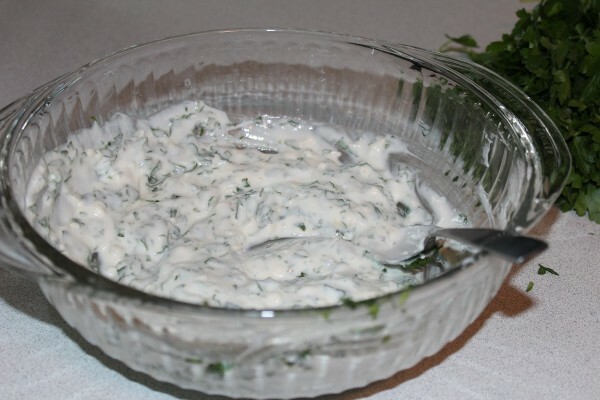 Combine yogurt, garlic, 2 Tbsp. fresh oregano, 1 Tbsp. fresh parsley, lemon juice, and pepper in a medium bowl; whisk to blend. 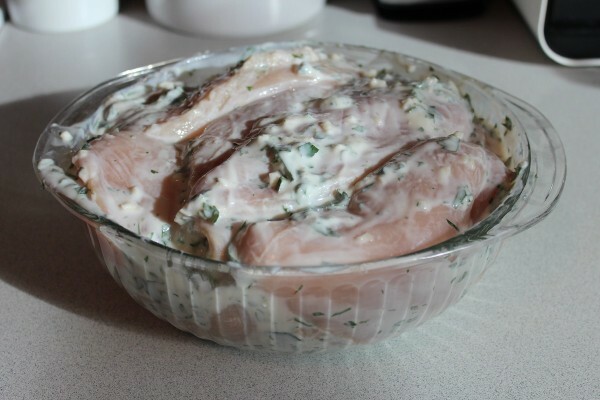 Marinade chicken breasts in yogurt mixture, covered, in refrigerator at least 1 hour or up to overnight. Turn at least once. 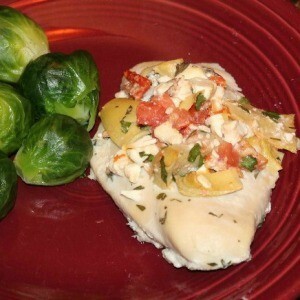 Combine cheese, tomato, artichoke hearts, sun-dried tomatoes, remaining 1 Tbsp. Oregano and 1 Tbsp. parsley. Set aside. Grill or broil chicken for 4-5 minutes on each side, or until no longer pink in the middle. Since we were using much larger pieces of chicken, this took closer to 10 minutes under the broiler, per side. Place chicken baking pan. Top each piece with 1 rounded Tbsp. of cheese mixture. Bake for 5-8 minutes or until cheese is lightly browned. *The beachbody version called for 4 oz. 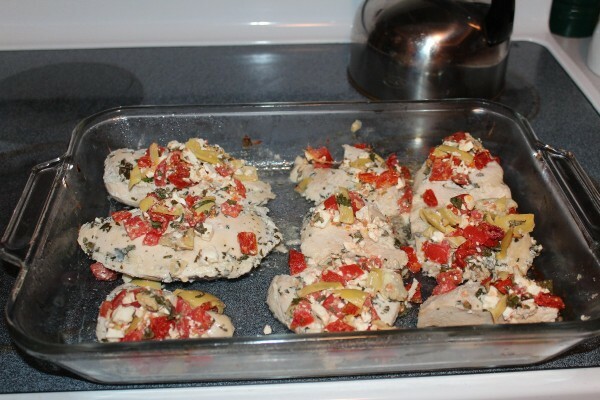 chicken breasts. After defrosting and marinading the chicken, I realized that of the breasts I was using were closer to 12 oz., so we cut them in half (or thirds) and ended up with A LOT of chicken - and still had quite a bit of the topping (we had a second pan that wasn't pictured). 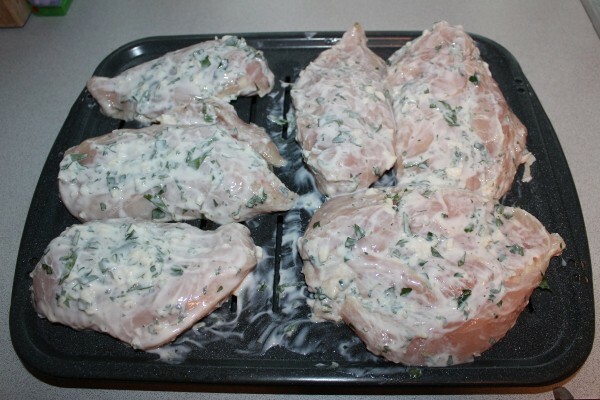 If the chicken breasts you use tend to be large, I'd recommend starting with four chicken breasts and cutting them into smaller sections. 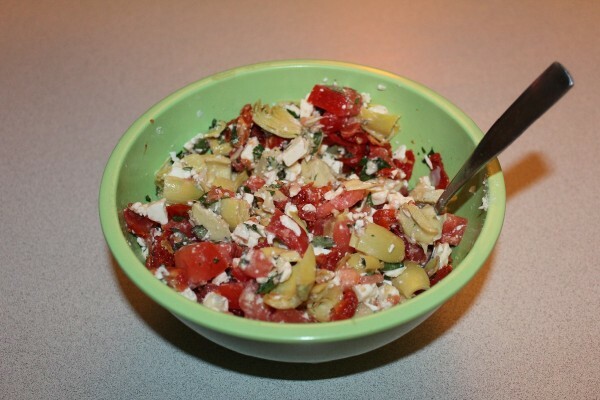 In small bowl, mix feta cheese, lemon juice and oregano until smooth. On work surface, flatten breasts. 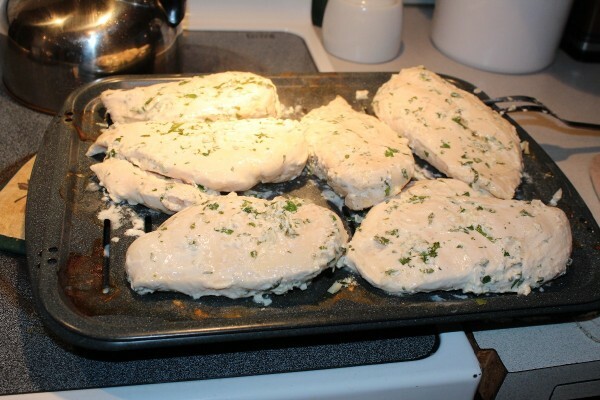 With a spatula, spread cheese mixture over each chicken breast. Fold in half and secure with toothpicks. This is a really tasty and wholesome chicken recipe. Check out this video and make this recipe tonight.